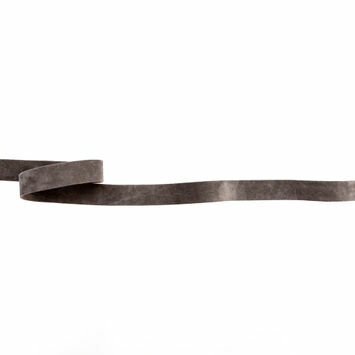 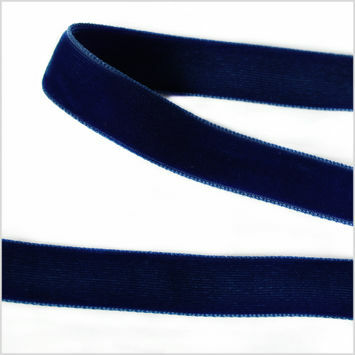 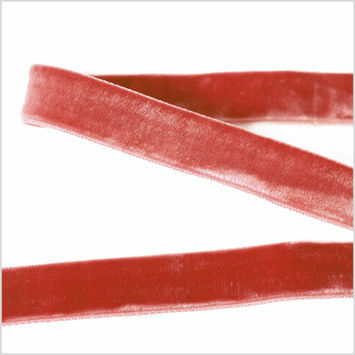 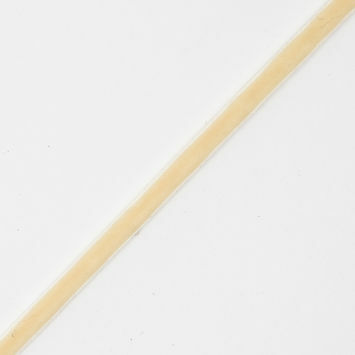 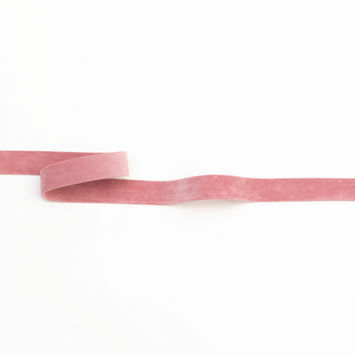 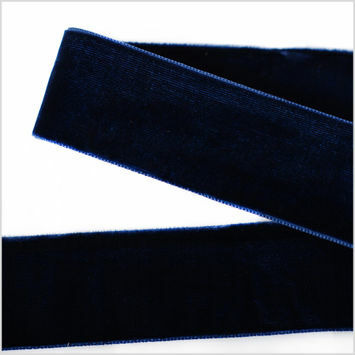 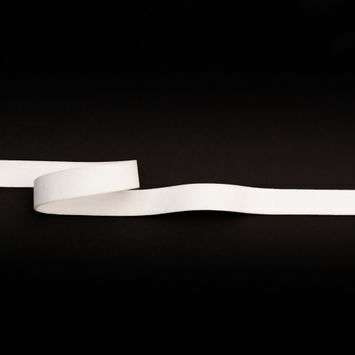 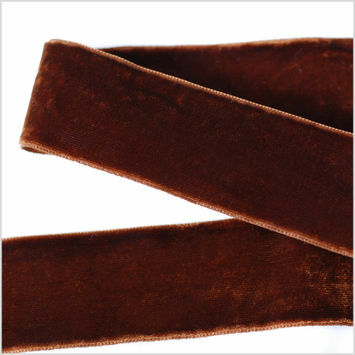 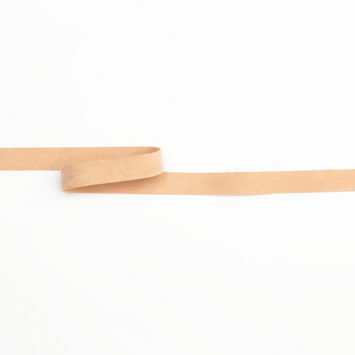 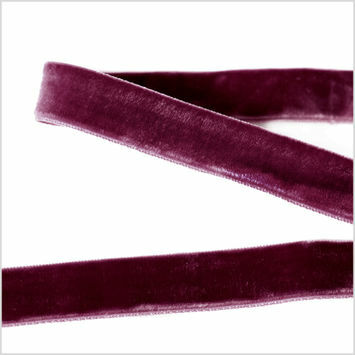 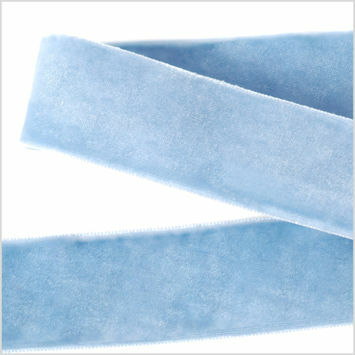 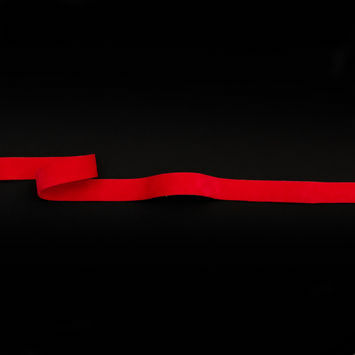 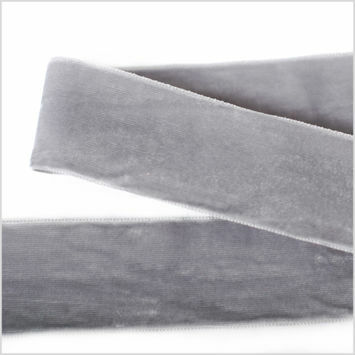 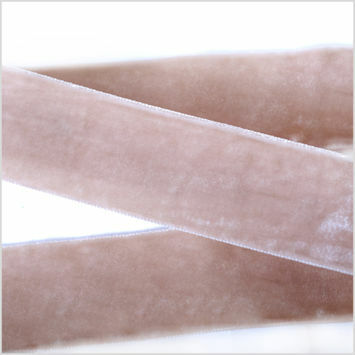 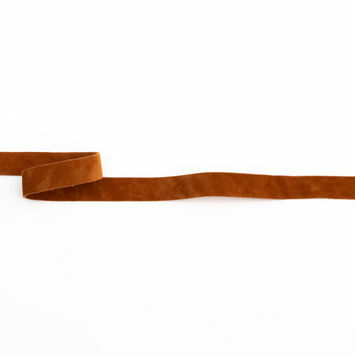 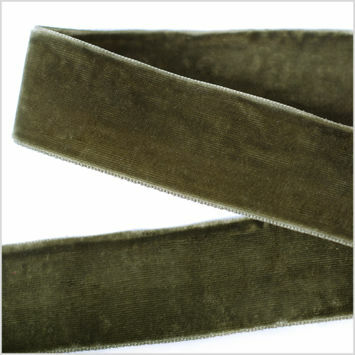 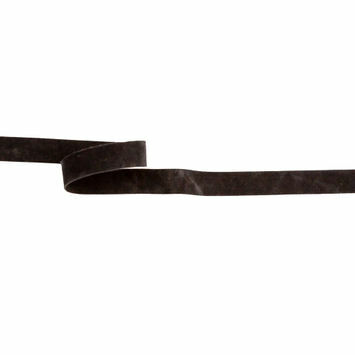 Double Face Velvet Ribbons are ideal for simple choker necklaces and delicate belts on eveningwear. 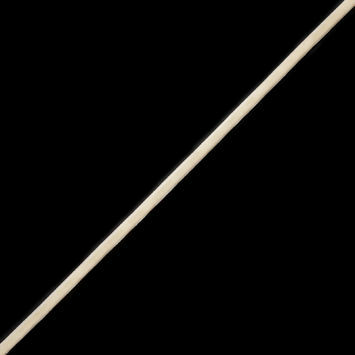 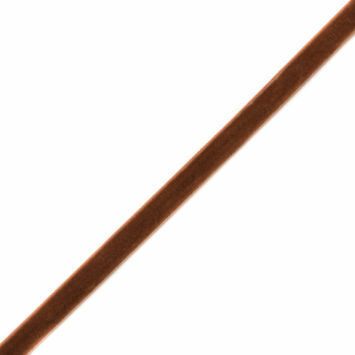 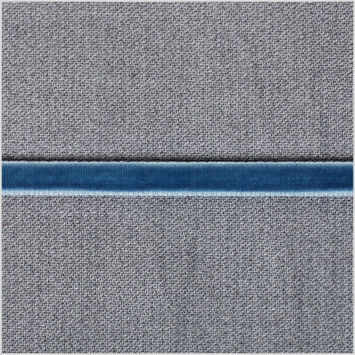 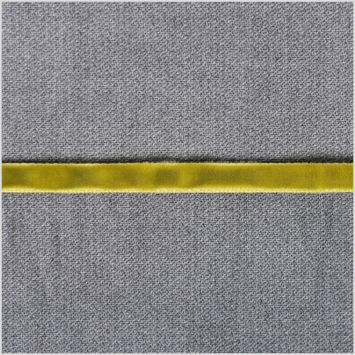 Originally, velvet was a notoriously expensive fabric due to the intricate process it takes to make it, which involves a loom intended for weaving fabrics of different thickness together. 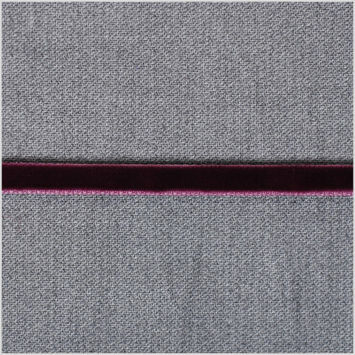 As the ribbon contains a face on either side of the trim, double face velvet ribbons will add a tasteful touch of opulence to any garment. 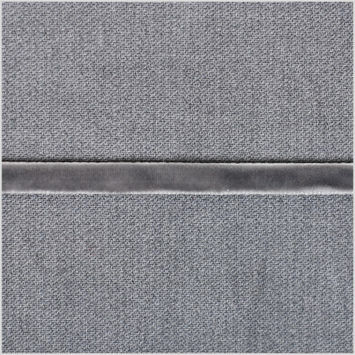 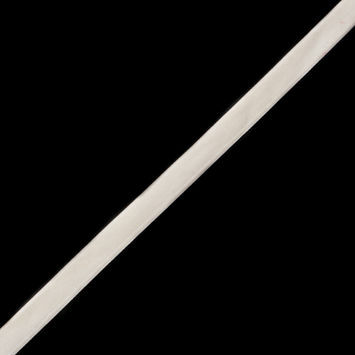 Italian White Double Faced Brushed Velvet - 0.625"
Italian Red Double Faced Brushed Velvet - 0.625"
Italian Gray Double Faced Brushed Velvet - 0.625"
Italian Pink Double Faced Brushed Velvet - 0.625"
Italian Brown Double Faced Brushed Velvet - 0.625"
Italian Black Double Faced Brushed Velvet - 0.625"
Italian Beige Double Faced Brushed Velvet - 0.625"
Ivory Double Face Velvet Ribbon - 1/8"
Off-White Double Face Velvet Ribbon - 1/8"
Off-White Double Face Velvet Ribbon - 5/8"
Gold Double Face Velvet Ribbon - 5/8"
Plum Double Face Velvet Ribbon - 1/8"
Lime Green Double Face Velvet Ribbon - 1/8"
Dark Plum Double Face Velvet Ribbon - 7/8"
Burgundy Double Face Velvet Ribbon - 5/8"
Dusty Blue Double Face Velvet Ribbon - 1.5"
Beige Double Face Velvet Ribbon - 1.5"
Dusty Blue Double Face Velvet Ribbon - 1/8"
Navy Double Face Velvet Ribbon - 1.5"
Navy Double Face Velvet Ribbon - 5/8"
Light Grey Double Face Velvet Ribbon - 1/8"
Brown Double Face Velvet Ribbon - 1.5"
Moss GrEy Double Face Velvet Ribbon - 1.5"
Light Gray Double Face Velvet Ribbon - 1.5"
Dark Tan Double Face Velvet Ribbon - 7/8"
Dusty Blue Double Face Velvet Ribbon - 7/8"
Rust Double Face Velvet Ribbon - 7/8"